How to install a complete mailserver on Debian 8/9, featuring Postfix, Dovecot, MySQL, Spamassassin, ClamAV, Roundcube and Fail2ban. Comments are on the last page. For this project I used Spamassassin. Spamassassin is less granular and comprehensive than ASSP but in this case I only had a handful of users and Spamassassin’s not bad. 1. Spam is identified upon entering the system. 2. 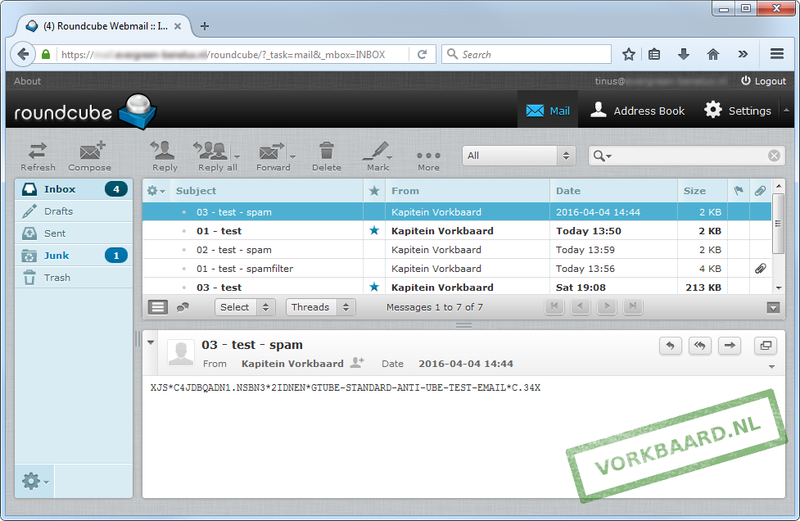 Spam is delivered in a dedicated folder in the user’s account. These phases are separate things. 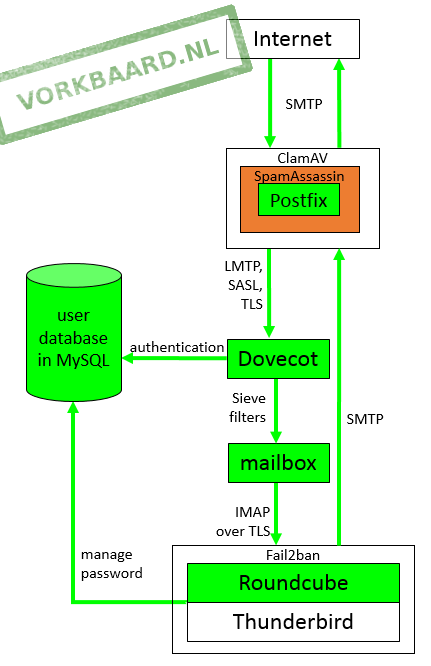 Spamassassin identifies and tags spam while Dovecot’s Sieve plugin allows automatically putting the spam in the user’s Junk folder. We’ll do spam identification first. Just press enter at each question. to /etc/spamassassin/local.cf. This will have Spamassassin actually use Bayesian the rules it learned. It’s an easy mistake to make because of the file’s layout. Again note that the second line must start with one or more whitespaces. 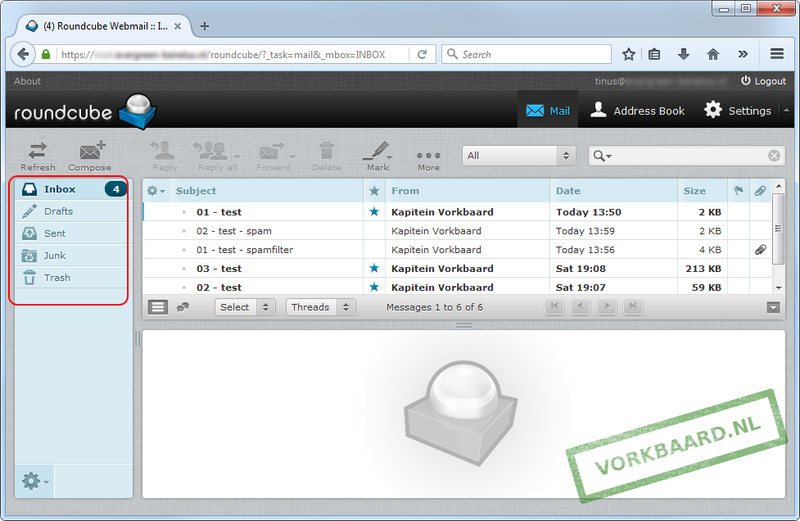 Once you’ve installed and configured Postfix send a test mail to and from your account in Roundcube and make sure it still works. If it doesn’t, remove the newest entries from /etc/postfix/master.cf, restart Postfix and try again. See if you have made a typo and make sure restarting Postfix does not throw any errors. Only if sending and receiving works continue. has identified this incoming email as possible spam. The same mail not containing the GTUBE should not contain that warning. Send another GTUBE mail, open it in Roundcube and view its source. This is actually part of something larger, namely a mail filtering system. Using filters (also known as rules) you can apply actions to mail using logic, for example move mail that’s tagged as spam to the Junk folder. First we need to make sure the IMAP client is subscribed to the folder the spam will be moved to. Apart from copying and pasting the above text also read the commentary in that file. It’s quite useful. and log out and back in to Roundcube because the special folders are created at login. Dovecot has a plugin called Sieve that handles rules. 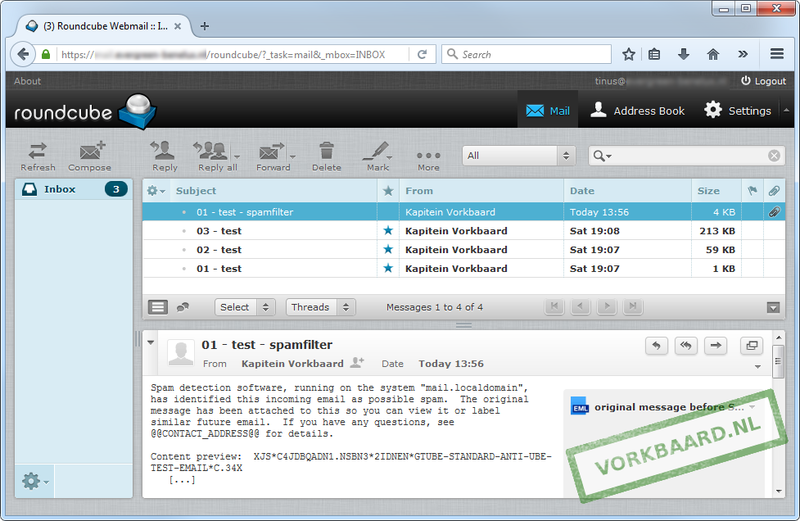 Sieve actually is a programming language designed for mail filtering rules. It’s a good idea to have a local postmaster address to prevent mail loops. Also it is required by the smtp rfc (though we’re technically not using smtp but lmtp here – still it’s a good idea). then Sieve is working. Tap Enter three times to exit. then Sieve is not working. Check your settings, restart the Dovecot service and try again. to check for typos and such. doveconf -n can help spot the errors. It is possible to create default sieve rules. This has one huge drawback: as soon as the user creates her own sieve rules (for example she sets an out of office autoreply) the default rules are no longer carried out even after deleting the personal rule. We’ll set up a global spam rule that will move spam to the user’s Junk folder automatically. The above folder and filename are arbitrary but they seem logical to me. Note: the sieve_global_dir directive is not related to this feature. Why sieve_after? 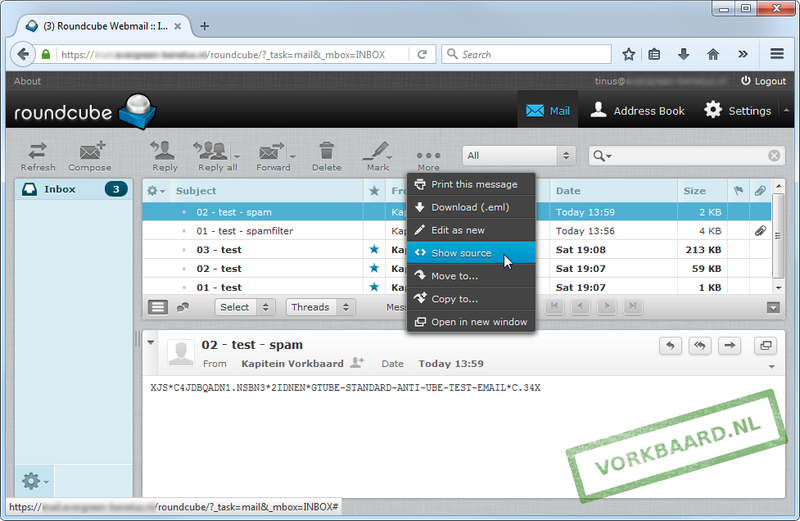 If you’d use sieve_before then any applicable (to that particular mail) rules the user would have would not be executed. By using sieve_after the user’s rules are executed first so they can override the sieve_after rules. This rule checks for a header called ‘X-Spam-Level’. If its value contains * then the message is stored in the folder called Junk. Note that ‘**’ and ‘***’ also contain ‘*’ so you can set the amount of spam-certainty required for a message to be regarded spam. The scale is 1 to 50, 50 being the most certain. Reload Dovecot and send a test message containing the GTUBE string to check if it works. Using doveadm we can automatically delete all mail in the Junk folder older than a certain time, for example 30 days. Doveadm is Dovecot’s administration utility. Read man doveadm for more information on doveadm. Other relevant reading for this case: man doveadm-search and man doveadm-search-query. -A means to look in all mailboxes, not just the one we specify. Remember the iteration query? This is what that is good for. Had you been using a static user query in /etc/dovecot/dovecot-sql.conf.ext then doveadm search -A would have thrown an error. tells you more about the query format. To run it once every day.